The main function of the FSSU is to provide a support mechanism which will enable school management to comply with Section 18 of the Education Act 1998. 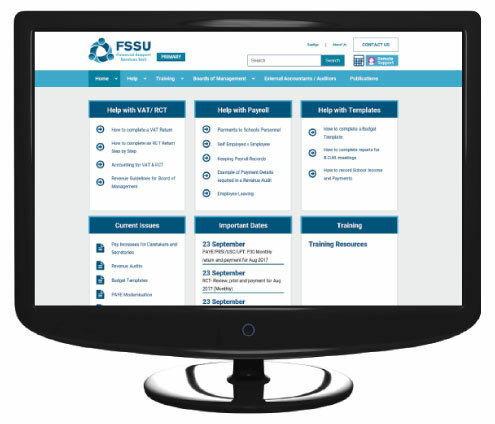 The FSSU will provide a wide range of templates, videos and webinars focused on a school’s finance which will be of benefit to all schools. These helpful training resources for schools will soon be available on this page. Don’t forget – the technical support phone service can be accessed between the hours of 9am to 7pm Monday to Thursday and 9am to 5pm on Fridays by phoning 01 9104020.